The hull of a flax seed with incredible health benefits for You! Have you heard of the Superfoods - Lignans? Flax Hull~Lignans~ Excellent health benefits! With SO MANY BENEFITS of SUCH a small seed hull, it is clear to see why ~LIGNANS~ are a POWERFUL SUPERFOOD! They are a group of phytonutrients, which means plant nutrients, and they are found in veggies, grains, and seeds. Flaxseed is the richest source of phytonutrients containing 800micrograms of LGN per gram versus other sources like soy, millet, and rye with 2-6mcg/g. Flaxseed LGN was discovered in 1956 and scientific research interest came in the 1980s when a connection was shown between a low level of LGN in a person who had breast cancer. Secoisolariciresinol diglucoside (SDG) is a powerful antioxidant belonging to a class of phytonutrients called ~lignans~. Flax seed is the richest source of SDG. 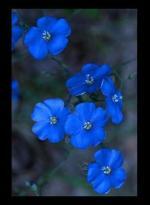 Flax hulls are the outside of a flax seed, so when you eat ground flax seed, you will get some ~lignans~. If you are battling any significant health problems (esp those listed above), we recommend complementing your diet with additional concentrated-lignans along with the Golden flaxseed. Because the body is trying to heal itself, and by giving it a super food antioxidant as powerful as lignans-, the body can do more for us! I have had many of my customers tell me impressive stories about how their bodies have been able to heal just by eating right and adding ~lignans~!! We MUST put Superfoods into our body if we hope to live a healthy life! A PERFECT way to start is to add a small scoop of Lignans- to yogurt or cereal every day! You can eat ~Lignans~Superfoods, the same you eat Flax and even along with it like my family does! Back to top of Lignan page.